Mexico’s answer to the sub sandwich, your choice of meat on a fresh-baked, toasted roll adorned with refried beans and fresh, creamy avocado. 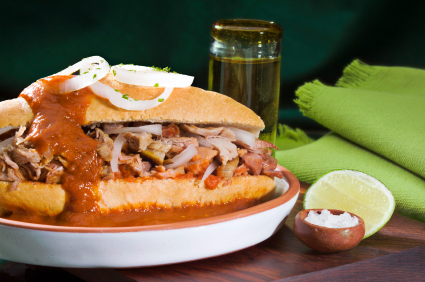 A sandwich with a decidedly Mexican flair. Sabroso!